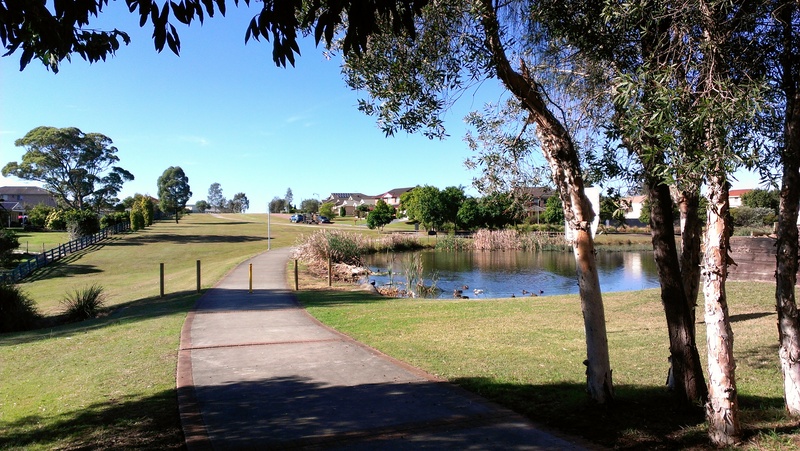 Summary: This is a nice easy walk through the quiet neighbourhood of Bolwarra. There is an eclectic mix of housing; from modest cottages to mansions, some dating from the late 1800s and some brand new, architectural styles ranging from federation style to the very modern and anything in between. All on pavement so great for wheels and also fine to do in the wet. Park by the Bolwarra sporting complex on Victoria road, Bolwarra. It is to the left, off Paterson road if coming from Maitland and is signposted. Walk down Victoria road back towards Paterson road and turn right when you get there. There is ample space to walk alongside the road but traffic can get heavy at times. Continue down until you get to Bolwarra road on your right. Go down here, past Bolwarra public school and then turn left down Maitland road. This is a dead end but there is a cycle/pedestrian path that will take you past the horse paddocks and dams, and back alongside Paterson road. Continue along until you see Westbourne road and turn right down here. There are some stately old homes along here, mostly hidden behind the lush foliage but with grandeur evidenced by glimpses of tennis courts and impressive gold-plated gates. 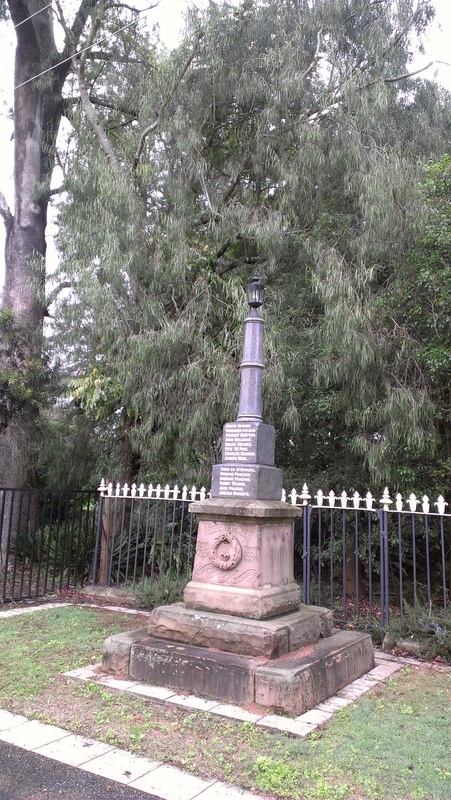 You’ll also walk past a war memorial (see photo below). At the end of the road your only option is to turn right up Kensington road. When you reach Bayswater road you need to zigzag right and then left to continue on Kensington road. 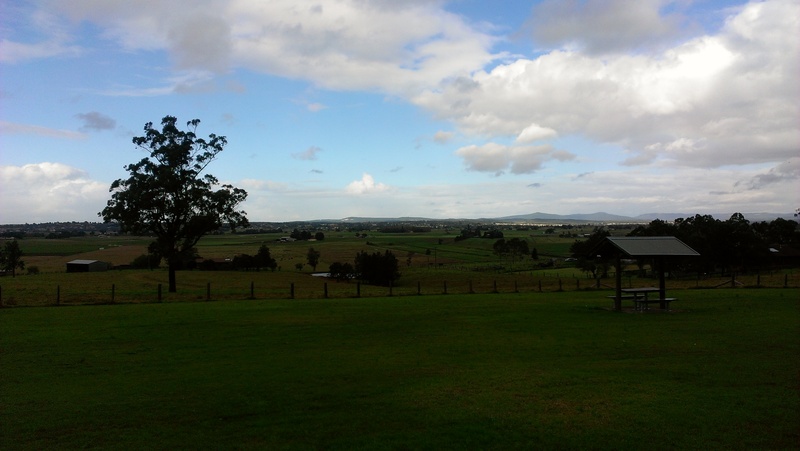 Summary: A hilly walk around the developing suburb of Bolwarra heights. Lots of new houses under construction and more lots for sale, so the outlook for this walk will be constantly changing for the next few years. All on the road or concrete paths so ideal for wheels. Park at the Bolwarra Scenic Lookout . This is clearly signposted and is on the right hand side of Paterson road (if coming from Maitland) as you are coming in to Bolwarra Heights. After you have enjoyed the nice views from the look-out; back towards Maitland and the mountains beyond, cross over Paterson road and turn left along the path. Go right at Hunterglen drive and first right down the hill on Highland way. Take first left onto Amber grove and follow this all the way around until you get back onto Highland way. Despite being fairly densely populated there is enough bushland left for the local wildlife; a kangaroo was quietly munching on grass just off Highland way this morning! Continue to your left and when the road turns and starts going uphill you will see a cycle/pedestrian path going through the bushland reserve on your left. Follow the path to the end and turn right up the very wide path going up the hill. This will take you to Bolwarra park drive. Go right and then left at the first intersection. Follow the road around, and when you run out of road, turn left up Ridgetop close and then go down the path which will get you back to Bolwarra park drive. Eventually you should be able to just stay on Bolwarra park drive all the way around but, at the time of writing, it was closed off due to construction activities. Continue down the hill and when you see the playground on your right, follow the path alongside it and this will take you to Hunterglen drive. Now you just have a long steady climb up the hill to Paterson road and you’ll see the lookout a bit further down to your left. Summary: A nice coastal walk with both a flat beach section and a fairly steep climb up through the bush at the headland. Not at all suitable for wheels and the climb requires a certain level of fitness. Park by the surf club at Bennets beach, Hawks Nest. Go down to the beach and turn right. You can see the Yacaaba headland in front of you and it is about 2.5km until you get there. Fishing seems to be popular at this section of beach and several eagles were spotted circling around, perhaps also looking for fish. When you get to the headland you’ll head up the sign-posted path. The ground is uneven and appropriate footwear is required. 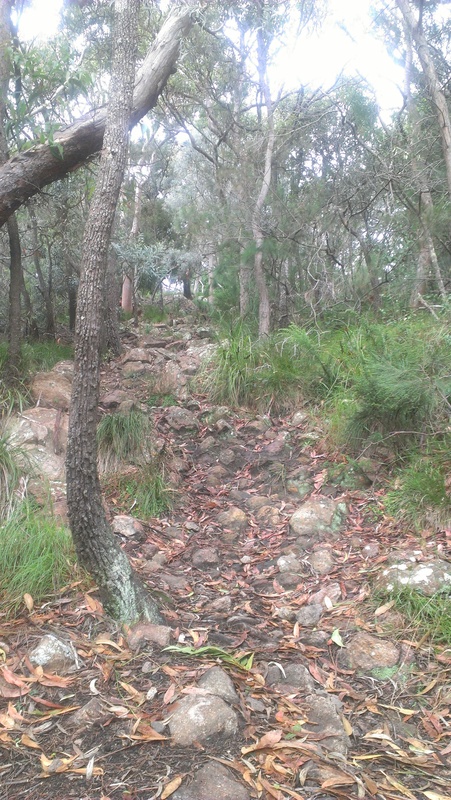 The path climbs upwards and winds it way through the bush past some excellent climbing trees and busy birdlife. After the roar of the crashing waves on the beach it feels quite peaceful and serene. After 1 km you will get to a viewpoint which provides excellent overview back across the beach you walked along, as well as the neighbouring Jimmy’s beach. This is by far the best viewpoint on this walk. The next 500m section up to the top is very steep and challenging, and when you finally get to the top it is so overgrown that it is hard to really see much of the view! It is a good extension of the walk from a fitness point of view, but unfortunately not worth the effort for any scenic view….Going down can be quite treacherous, particularly if its a bit wet. You have to return the way you came, back through the bush and along the beach. 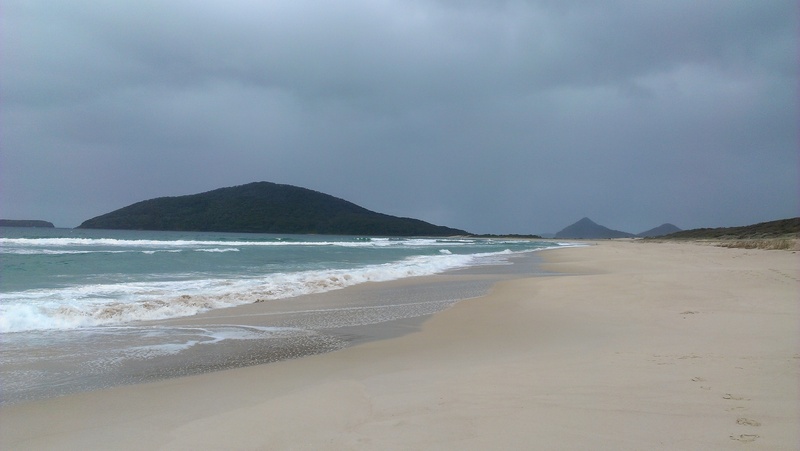 Before you get too far back along the beach it is worth doing a short detour up on the sand dunes where you get a nice view of the Tomaree headland, Shoal bay and Nelson bay. Summary: This is a walk around the older parts of Thornton and seems a world away from the glossy neighbouring Somerset development (walk #16). There’s a myriad of pathways connecting streets and it makes for a bit of a labyrinth. The paths are fairly old and cracked, and in some places over-grown, but should be ok for wheels. Park at the Thornton shopping centre off Taylor avenue, in Thornton. 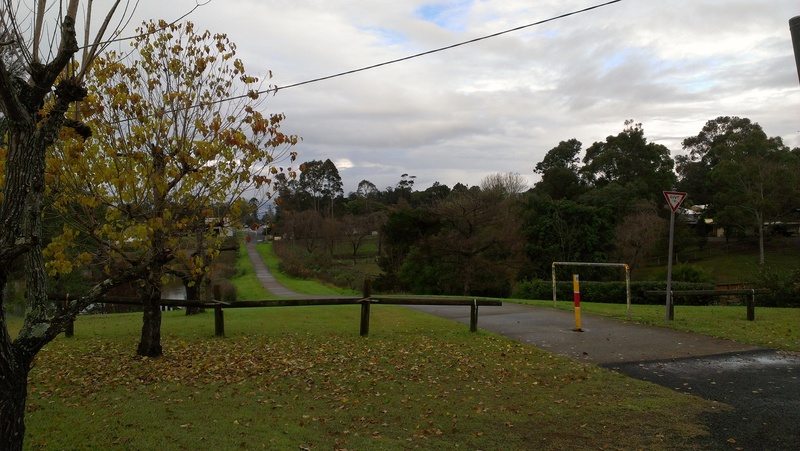 Walk across Taylor avenue and down the path through the bushland between Thornton public school and the housing development. When you get to an open clearing and the path divides into two, continue on the path to the right. Turn right again and walk up to Abercrombie close. 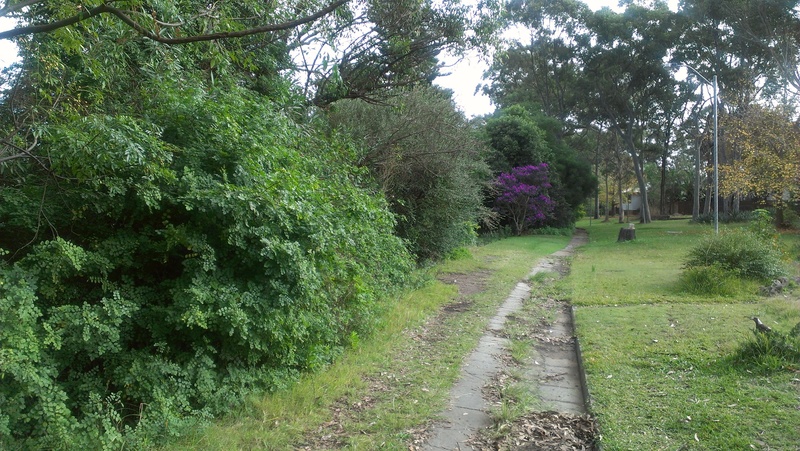 Walk past Wren close and then look for the path on your left which will take you through the bushland. Stay on this path as it winds it way between the houses. Few houses have fences around their gardens so it feels a bit like you’re going right through people’s back yard, but it is a public path! When you get to Haussman drive, turn right and walk up to Taylor avenue and turn right again. Walk down the street until you get to Sharp close on your left. Walk up here and turn right when you get to Evelyn crescent. Stay on this as it curves around and ends at Arthur avenue. Cross over and slightly to your right you’ll see a pathway. Go down here and this will take you to Malthaus close. Walk down this street and turn right onto John Arthur avenue. Stay on this for quite a while until you see Lincoln close on your left. Walk down this short street and look for the path that will take you through to a wider pathway leading down to the sports-fields. Before you get that far though, look for a path on your right which will take you through to Avard close. Walk along here until the end where you get to Government road. Turn right and then right again at the next intersection with Thomas Coke drive. Turn left at Reilly street and, if you would like to combine this walk with walk # 16 Somerset, turn right down Elizabeth close and follow the route from there. (Walks # 16 and 17 combined like this will be a total of about 7.2km). Otherwise, walk past Elizabeth close and look for a path on your right. This will take you through to Holford crescent. Turn left and left again, and then first right up Welwen crescent. Look for a path once you have turned the corner. This will take you through to Blakewell cresecent, cross over and slightly to your left you’ll see another pathway. This will take you past the Thornton park oval and ends at the shopping centre where you parked your car. Thornton. Nice wide paths and beautifully kept reserves, including several duck ponds, make this a very pleasant stroll for feet and/or wheels. Look for the path between the Thornton Park oval and the shopping centre and follow it down to Blakewell crescent. Cross over and you’ll see another pathway a little to your right. This takes you to Welwen crescent. Turn right and once you have turned the corner, look for a pathway on your right which will take you through to Government road. Turn left and left again onto Reilly street. Walk up here and then right down Elizabeth close. At the end you’ll see a pathway that will take you through to Government road. Cross over and turn right and keep left as the road splits in two and you should see a path on your left. Walk down here and go left as the path splits. This takes you to the first of the three duck ponds on this walk! Stay on the path as it meanders in between the housing development. The path crosses over Somerset drive and continue along until you see some bushland on your right. Go right here and follow this path around the duck pond and then you’ll have to walk on the road for a little bit. Walk past the playground and then you’ll see another path along the third (and final) duck pond. Once you’ve walked around the pond you’ll be back on Somerset drive. Turn left and walk along until you see a path on your right in between the houses. Walk up here through to Lemonwood circuit. Keep left and around the corner you’ll see another path which will take you back to Somerset drive again. Cross over and walk down Willow close. At the end there will be a path, go right and follow this along whilst admiring the view across the fields towards the railway line. Keep left and the path will end in Redman cove. Walk up to Eurimbla street, which turns into Taylor avenue, and this will take you back up to where you parked your car.